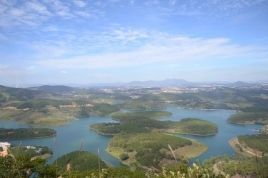 Tuyen Lam Lake, 6 km to the South of Dalat, has the water surface of 350 ha. 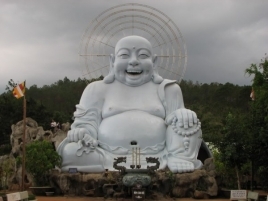 It was created by Tia stream – head water of Da Tam River. No one knows when and why it was called Tuyen Lam, but maybe because of the grandiose nature around it - stream and forest were close to each other. Tuyen stands for stream, Lam stands for forest. Tuyen Lam is a place for water and tree meeting each other. 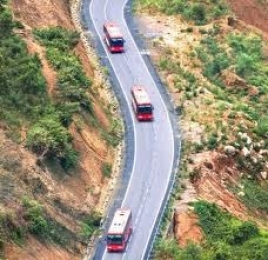 The Valley of Love is 5km north of Da Lat, Vietnam. Its former name is Valley of Peace. In 1972 with the creation of lake Da Thien, its name was changed. Currents from the top of Langbian creep over surrounding mountainous areas to form cam Ly Stream, which crosses Than Tho Lake, Me Linh Lake and gathers in a big valley, turning it into the poetically dreaming XuanHuong Lake. 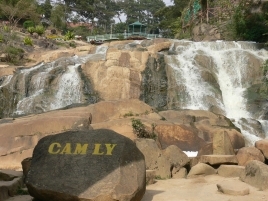 The stream then passes underneath Ong Dao Bridge and follows a geological fracture of about 2 km westward before crawling over a sloping granite bed into the beautiful famous waterfall of Cam Ly in Da Lat city. 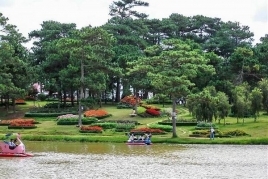 Than Tho Lake is located in the East of Dalat and it is 5.8 km far from the city center. In the past, the lake used to be a swamp. 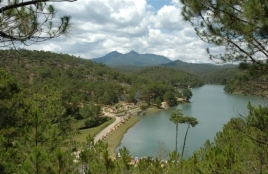 In 1937, the French built a dam to retain water from Cam Ly stream then they made it a lake with an area of 8.5 ha and it provides water for the entire city of Dalat. 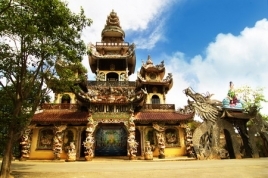 Linh Phuoc Pagoda is located at 120 Tu Phuoc, about 8 km far from the center of Da Lat city to the South- East. The pagoda was constructed from 1949 to 1952. In 1990, it was restored, three- arched entrances gate was built in the side of the road for guests easily to identify it, because the temple was deep in the alley.